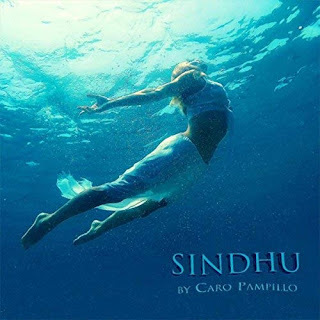 Going into my first listen of Caro Pampillo’s Sindhu (her alter ego) , I had predetermined, based on the title and cover art, that this could very well be a meditation album. Well, it is that and a lot more. It is not hard to do that if you have been reviewing new age music for a while and the same would go for the avid listener. Based on Caro’s website I was given some indication of who she is and what to expect on the new release. Here is some insight into the artist from her website: As a self-taught musician, she has developed her own unique sound as a composer and a producer, combining her South American roots with many other world influences, live looping her voice and other instruments. Caro’s studies in Buddhist and Zen philosophy and practice of Kung Fu and Meditation led her to the name "SINDHU" (Sanskrit for sea, ocean, river, or water) for her alter ego and this musical project. I feel this sort of information will enrich the review and make the potential listener’s experience more all-encompassing. That is my vision of the complete listening experience and it also allows me to dig a little deeper and express my feelings on another level that relates to the music. Just to give you an idea of the world influences on this recording, this is what Caro alone contributed: Her gorgeous vocals, background vocals, acoustic guitar, Venezuelan Cuatro, programming, looping, and Tibetan bowls and chimes. She also had some help from other talented people that contributed keyboards, electric guitar, piano, strings, classic and electric guitar, Moog synth, and Theravox and many more. Well, you get the idea; the list goes on and on. Saying this was “World” music is definitely the genre, or new age world to be more specific. I found the music to be lush, inviting and very complex. Caro’s vocals blended well with the music. At first, hearing her sing in a different language threw me off a bit, however, I was able to focus on the music at hand and the eclectic approach she took. I sincerely appreciate that kind of special touch and all-around talent one artist can lend to a recording session. I especially appreciated the tracks “OM” and “Har Hari,” which was like listening to a pop tune in a different language (ancient Sanskrit). 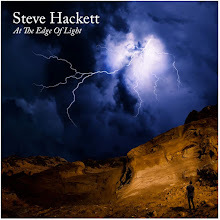 At that point it really hit me, this one has more crossover appeal than most recordings I have heard this year. Regardless of the language barrier I could relax (this is where your meditation can take place), and let the music flow. You will then arrive at a different level of consciousness. For this listener that means Sindhu accomplished the mission!